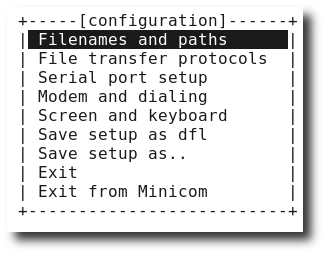 How do I use minicom? First, make sure Linux has detected serial ports. 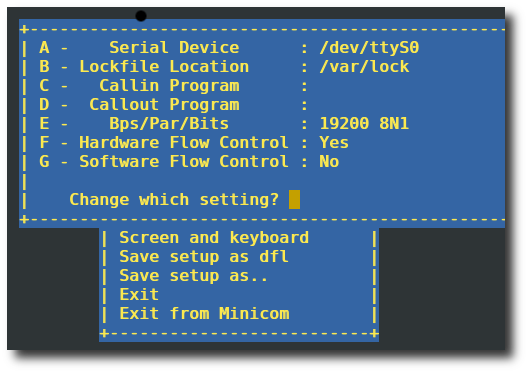 Use setserial command to set and/or report the configuration information associated with a serial port. $ export MINICOM="-m -c on"
minicom will assume that your terminal has a Meta or key and that color is supported. You can add MINICOM variable to your shell startup script such as ~/.bash_profile. The soekris embedded Linux / BSD board with AMD 266 Mhz CPU + 256M RAM. This device connected to my computer using DB9 null modem cable. During the development you need to use minicom to install Linux kernel, format filesystem and configure device. I use minicom to connect to Solaris host, recently I got some problems because minicom send somenthing on the wire that the host fell like a break signal going down to the obp(fortunatly didn’t happen on a production system). I already removed all the intitializtion strings…Any ideas? If you do “man minicom”, you’ll find lots of options. 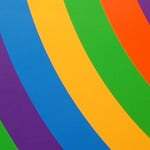 I would suggest starting minicom with -o. As a side note, I recommend kermit over minicom, it’s way better, as long as you create your own .kermrc containing the options you usually use. I want to ask you the relationship between comgt and minicom. 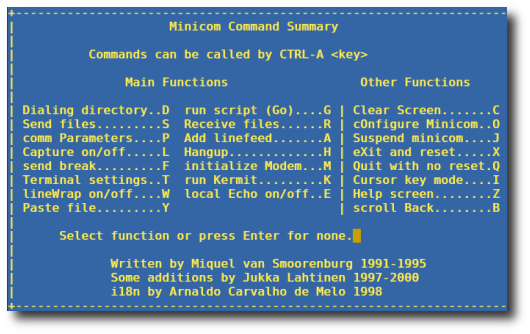 When i execute the command comgt, why I can find the information in the minicom window ? I am using a health checkup machine, connected to my redhat linux 4 system with minicom 2.0.0,which sends data to serial port in a hexadecimal format only when it receives a command of 0x68 from the PC. i had tried using stty -F /dev/ttyS0 9600 -parenb cs8 -cstopb but while using cat not getting anything from the port. tried using echo “0x68” > /dev/ttyS0 but in vain. I had tried minicom by configuring it to /dev/ttyS1 and also to /dev/ttyS0 but minicom is showing offline. i am unable to decide the serial port because i have only one serial port which is being used for mouse. to the same port i had connected the machine by unplugging the mouse. Please help me out. i want to use minicom for connection to my GSM modem so that it can send message to particular mobile..
can u tell me how shud i proceed for this…i only have idea for this.. i dnt know the details for that.. Thank you for give the step how to configure serial communicatin on internet . my suggestion please make one website there we can find all the linux/unix help topic with theory and graphically which is not available in books. I am trying to log on to my Cisco 836, bought second-hand as training material for the CCNA, and I am having a few difficulties with it. I was hoping more experienced folks could help me in troubleshooting the problem. 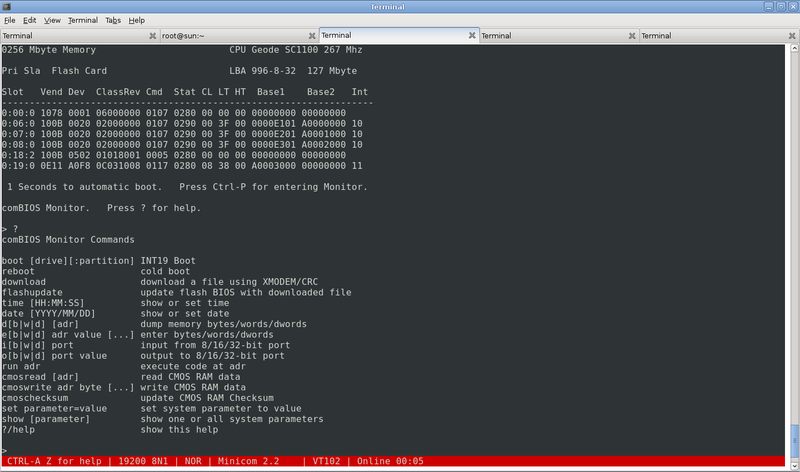 I installed minicom 2.2 on Vector Linux and configured it following the how=to above. When I run minicom =c on, it shows Initializing modem, then goes back to the main menu and asks to “Press CTRL-A Z for help on special keys”. When I do press CTRL-A, it shows me as OFFLINE in the lower right corner. The same happens with both ttyS0 and ttyS1. Now a bit background information: Vector Linux kindly starts the serial ports on startup, and a dmesg |grep ttyS reveals that both ttyS0 and ttyS1 are active. The router itself is linked to the db25 port via a rolled cable and a RJ45 to DB25 adapter (all self made; I do not exclude that the problem is due to my poor wiring skills). I have no way of telling whether the router itself is working correctly or not, but if I connect it to my Lan, I am able to see its IP address. Any suggestion as to where the problem might lie would be very welcome. I am interested in learning kernel. 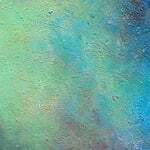 Compiled on Jun 6 2008, 22:41:04. Would you please to give me some advice or suggestion on how can I capture message sent to minicom (from virtualbox)? 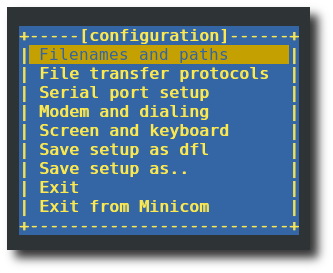 Or how can I send command / debug from minicom? You are awesome, thank you for this information. I use it to connect to my storage devices. ttyS1: LSR safety check engaged! can u tell me how shud i proceed for thisÃ¢?Â¦i only have idea for this.. i dnt know the details for that.. I want to configure port no 12 to minicom, but under dev folder I didn’t found ttyS12. But I found ttysc. So I configured port to /dev/ttysc. But after exiting setup, an error is thrown like “cannot open /dev/ttysc: Input/output error”. How to overcome this error. You want it set to 1 (default), if you want to be able to initiate a break or Stop-A. I am trying to connect router through linux but it is unsuccessful. did u have the same problem? 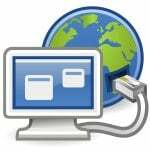 I use minicom on ubunto to connect via USB 2 serial device. When I type minicom -s and reach the Serial port setup I don’t find baud rate of 57600 to select from. Please advise. In a response to above questions: please realize that minicom does not set up your serial ports, this is the job of your operating system. Also picking a random tty-name is not the best way to get a connection up and running. I would suggest looking up a serial connection howto on tldp.org (if you’re running Linux), or find some other appropriate documentation. pls read some manuals and willingly learn.. “i have trouble please help me very much” is NOT the correct way of asking people to spend their spare time helping you. My router is linked to the db25 port via a rolled cable and a RJ45 to DB25 adapter and minicom did not work with /dev/ttyS0 or S1 and dmesg with grep ttyS* did not show anything but I noticed /dev/ttyUSB0 entry under /dev/ and when I set minicom to point to /dev/ttyUSB0 everyhting worked fine! I have ttyS0 , ttyS1, ttyS2 . I can see one of them only . How can i connect and use 3 of them at the same time ? I have done of the minicom set up, but when it comes to saving the file it states that i dont have the permissions to save the file as dft. Im not sure if i have to be in root to save the file. Currently using Kubuntu 10.10 at the moment. Trying to set up a Cisco Router. Compiled on Sep 25 2007, 06:13:56.
we are doing a project on pci driver. our project is write pci driver and use functionality of ARM7 through uart. i am done with pci driver, now i want to check our driver for full fledge. i have a problem, when i am starting comunication between two pc using db9 connectors, who will first start the communication get full data & another side some data gets lost may be starting data. plz tell me that how i will minimizes this problem? what will i do in driver? i am use platform “linux”…………. 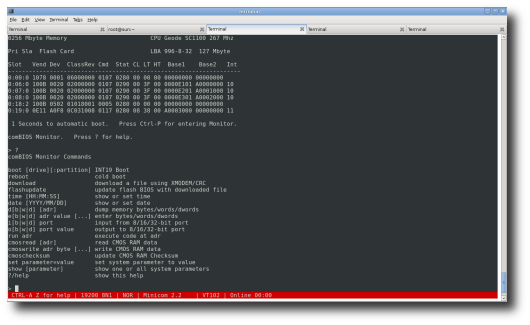 When I tried to configure my minicom using minicom -s, it is displaying dev/modem instead of dev/ttyS0. What does this mean? I need to connect my Embedded Linux board (ARM processor) to one of the ports. Hence I need to configure minicom correctly before doing that. Any help is appreciated. 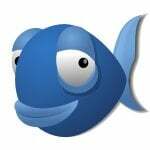 I use minicom for modem with smslib. But when i connect, i cannot write the AT’s commands. My linux terminal don’t show me the command AT that i write. Can somedy help me please. Don’t bother with minicom unless you need modem functions. Otherwise, you can probably do what you like with a package called “expect” – using the “autoexpect” script. This is a TCL script that allows you to simply type your responses and then gives you an editable script. When combined with bash, you can do a lot. Also, have a look at curl and wget. I’m not getting any output from minicom.. I’ve tried shorting pins 2 and 3 without result, and also checked every pin with o-scope while typing or sending files – no response – just a constant +5V. I’m using a prolific USB-to-serial adapter on OS X. I have no problems with input, so I’m pretty sure I’m on the right serial device, just no output..
I’ve also tried all possible combinations of hardware/software flow control without any luck. Am I doing something wrong? I have no 9 Pin Serial ports only a USB to serial port cord. Hi, I am using minicom for the connection of an altera FPGA board. It uses USB blaster. After configuration, it kept giving me offline when I start ‘minicom’. Any idea how to solve this? Thanks. And even if when I use ttys1 and it shows online, it hangs after starting minicom and shows nothing. Anybody have a solution?